This morning an Taoiseach, Leo Varadkar is performing the official opening of Castleknock Post Office. 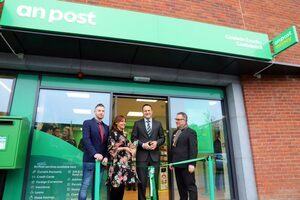 The Post Office is a new Post Office which has just opened in the Lidl premises in Castleknock in Dublin. 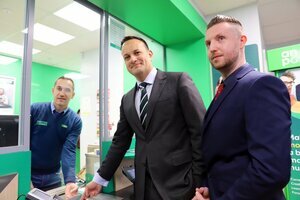 Posted in Misc and tagged Castleknock, Leo Varadkar, post office at 12:32 pm on April 15, 2019 by Bodger. Not picking up his dole, so? In fairness, Castleknock and environments does have a sizeable population with not a lot of services by comparison. Fair dues. Though nobody under the age of 30 knows what a Post Office is unless they’re unfortunate enough to be unemployed…. Oh, that’s nice to see! It’s almost enough to dilute my anger at having our local post office in a rural town closed down. His boyfriend needs to learn how to dress.
? Neither of them lads are his partner. I imagine that he is a local election candidate, given that they are coming soon. On August 28th 2018, Irish Examiner reported as the the postal service released the locations of the 160 not the 159 as reported P.O’s to be closed as part of of its consolidation plans. Galway has been hardest hit by closures, with 18 post offices to be shuttered, followed by Donegal (17), Cork (12) and Kerry (12). 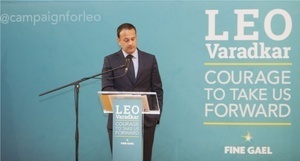 And today Leo opens a bright new shiny one in his own Constituency ! – All are within 15km of at least one other Post Office – on average the nearest adjoining Post Office is within 7km. Fancy a medical consultation with those stamps? How many of the closed post offices were in sparsely-populated rural areas, as opposed to densely-populated Dublin 15? If you mean sparsely populated rural areas with pheck all in the way of public transport, then the answer is probably “most of them”, as opposed to densely-populated Dublin with excellent bus, train, and tram services. These are all paid for by people from Dublin, along with a proportion of all of the services that rural dwellers enjoy. Living either urban or rural is a trade-off – if you live in the countryside, sure you can have a bigger house and a nicer garden, but you unfortunately won’t have a Luas line. All those who hate people living in the countryside might well remember that thepolicy to make the countryside inhospitable to live in will mead that they will move to the cities, adding further pressure to the over worked, underfunded services there. I don’t ‘hate people living in the countryside’; merely pointing out that urban dwellers subsidise rural dwellers to a large degree as things stand, so someone saying: ‘how can they be opening a post office here when they closed one in my hamlet’ is a bit of a simplistic argument to make. Rob_G, you seem to have an unfortunate habit of missing the points that don’t suit your argument. 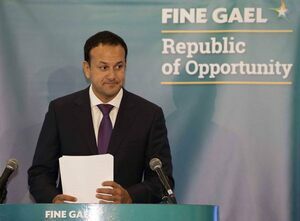 The topic in hand is that of An Post closing hundreds of rural post offices while opening a shiny new on in Our Dear Leader’s back yard. The customers for the new Castleknock branch have alternatives available to them by virtue of a readily accessible public transport network. The many thousands of citizens deeply inconvenienced by the closure of rural post offices do not have that option. 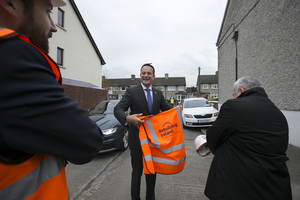 No, you seem to be missing my point – Dublin 15’s population is growing, so they get a new post office. Various rural areas no longer have the numbers to justify the cost of a post office; unfortunately, their post office closes. One-third of the population of Ireland live in Dublin – they can’t all go to the post office on O’Connell St just because we have a bus service. True for you. A pensioner in Dublin couldn’t possibly be expected to travel 8.5 km on regular and easily accessible public transport. The rural pensioner can dust off her walking shoes for a 43 km round trip. In your world, does everything live on a balance sheet, I wonder? She could ask a neighbor to bring her or even better learn how to drive a car or use a bike. If someone decides to live 20km out in the depths of the country, they need to realise that, along with the positive aspects of country living, there will also be some negative ones, particularly as they get older. – no, but this argument is usually trotted out by people who expect others to pay for their lifestyle choices. So, in a nutshell, you are claiming that anyone who lives outside of the capital is making a “lifestyle choice” by doing so? Yes, any adult choosing to live anywhere is making a lifestyle choice, as outlined above. Anything else you would like me to explain to you while I’m here? I think it’s perfectly clear that you have nothing worthwhile to offer this discussion by way of enlightenment. Your contempt for fellow citizens who don’t share your neighbourhood or your world view is also clear. Rob_G is 100% correct here. His points are valid and balanced and he listened to Mickey Twopints and he rebutted those points well. Mickey Twopints shut his ears and his mind at the first comment. Thanks for the adjudication there, Riz. Your opinion is important to us. Now, I wonder if you have anything substantive to offer on the topic under discussion? I refused to agree, which is not the same thing at all. Why shouldn’t inefficiency be curbed? Nearest Post Office for 20 kms? There’s a post office in blanch village a 5 minute drive away (without traffic). That lidl development has crippled castleknock with traffic. The flow is completely gone. I avoid castleknock now. I’ve heard local businesses are feeling the low foot fall as people avoid the village due to traffic. Traffic is an absolute nightmare now where it was bad before. He was ‘disappointed’ planning was approved for this new Lidl where the post office opened! @Spud – well spotted – not disappointed now – more than willing to take this photo op in own constituency. 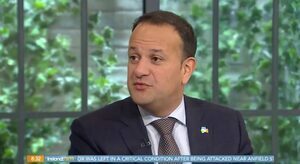 FG Spinners so busy they failed to record his previous ‘disappointment’ to the planning permission of the store from where the Post Office is now operational ! Anyone noticed that Ranelagh Post Office is quite busy? The Indian Embassy wont accept cash/visa, etc, only postal orders for visas? I spent more time than I should have in The Indian Embassy in Dublin – I had to write a letter of apology to The Indian Ambassador because I was applying so late for a visa to visit. The staff were appallingly rude. I supplied all my travel docs, I was going to pay – cash/card – no? I needed a postal order from Post Office Ranelagh? No, just not really sure what relevance Shayna’s story about her failing to plan her holiday on time have to do with postal services generally. Its so long winded, a fire burning – Shayna plays the fiddle? Who said Shayna is going on holidays? Maybe she is just on the run from another judge? I’m giving it straight – bro – a postal order for India? So er, let me guess…you’re off to India on your hollyers and you were wondering which Broadsheet post to announce it, lol! Not so much – back in 2009 – the visa was valid – I ended up staying for three months, I wondered about the humiliation about a begging letter to India, to The Ambassador. I really couldn’t have been bothered so much, except, I’d already paid for my ticket etc. The post office was conveniently placed up the road to facilitate my payment. (lol?). An Post, we trust? Also, I’ve never had to write to an ambassador to enter their country, until then? I’d be pretty sure, if I was going on holliers, I wouldn’t be announcing on BS. On this point, this has been my experience with a number of embassies, both here and in London. I was told that in part, they do not accept cash due to perceived risk having money on the premises, coupled with the real temptation of petty theft or misdirection. I was told they prefer either postal order or bank draft as they need to be lodged to the official account, and so are more secure for the Embassy’s perspective: it is assured and more accountable. Can’t comment re the card, though. Maybe a holdover when fees were higher? Again… the whiff of Thick Irish Paddy Voter off the comments section here is unreal. It’s like standing back and watching a group of people in charge running around trying to chase their tails and knowing this isn’t going to be a good ending when you realise the daw daws on here are actually representative of the people that vote for the same faeces show we have had in Irish politics for the last 50 years. Oh. Not surprising. Or even original. I forgot to check #brexit today- just saying. I’m still just amazes that Ron has a computer that allows him to smell stuff. I’d say Ron is very important.